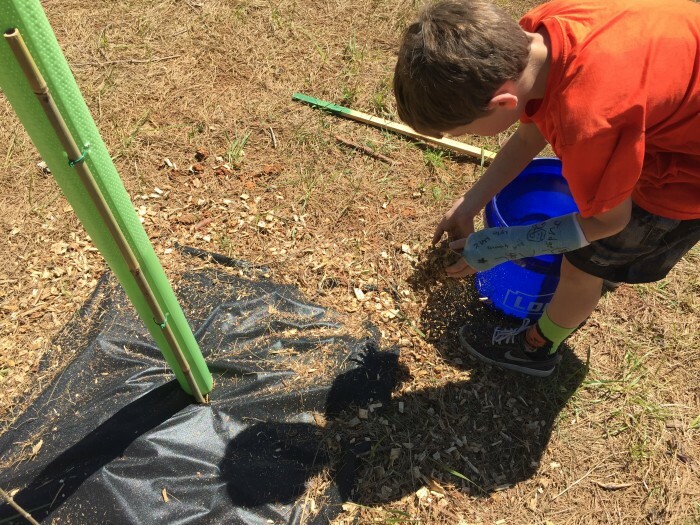 Over the past several weekends we have taken advantage of the beautiful North Carolina weather to begin planting our chestnut trees. 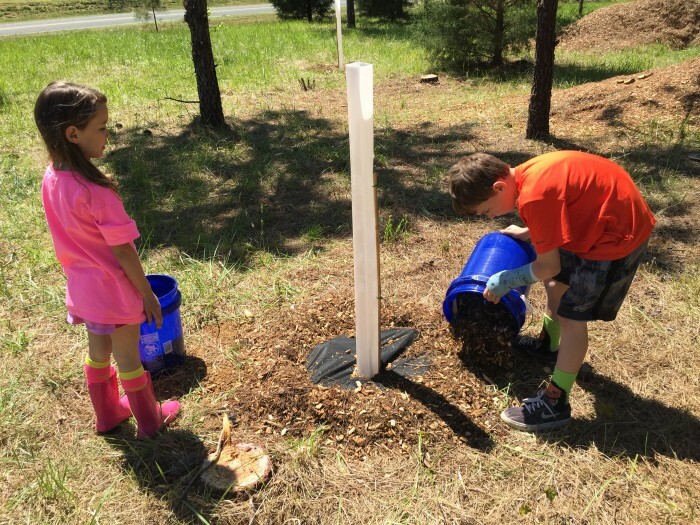 The kids jumped in to help, and nothing makes Chris and I happier than getting both of them outside and involved in the farm work. Our well won't be installed until later this summer, so for now we're bringing in water and irrigating the trees using the very low-tech (but still highly effective!) "bucket method." We just drill a small hole in the bottom of the buckets, place near the trees, and let gravity do the rest!